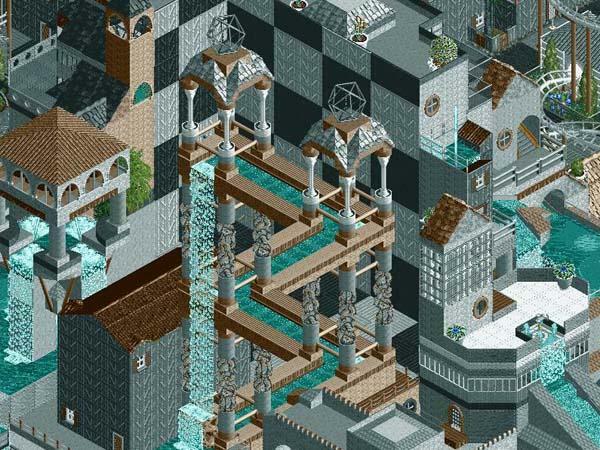 In this copy of Escher's "Waterfall" by artist with alias Mama Bear the impossible construction is depicted in isometric perspective. The image was found at http://rctm.kaibueno.com/clubparks/mp/impfauv.htm. There are also copies of famous artworks by Salvador Dalí, Claude Monet, Edvard Munch and Vincent Van Gogh in isometric perspective.